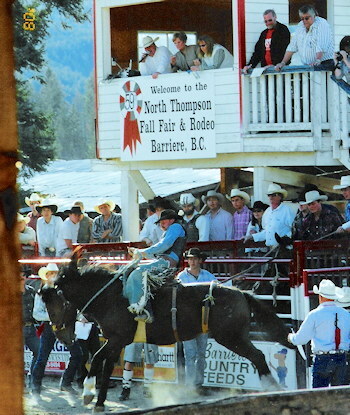 Located on Highway 5, 63 km (38 miles) north of Kamloops in the North Thompson Valley, Barriere is home of the North Thompson Fall Fair and Rodeo and provides visitors with accomodation, restaurants, a pub, service stations, grocery stores, a golf course and banking facilities. Nearby lakes and rivers provide excellent fisheries for trout and Dolly Varden. Little Fort is located between Barriere and Clearwater at the intersection of Highways #5 and #24 and offers visitors accommodation, restaurants and a pub, service stations, shopping, and a fly & tackle shop. Here you may cross the North Thompson River via one of two reactionary ferries. There are several guest ranches and fishing resorts nearby. 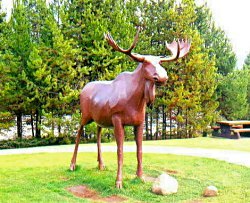 Located on Highway #5, north of Little Fort. 124 km (74 miles) from Kamloops, Clearwater, is renowned for its exceptional whitewater rafting and as the gateway to Wells Gray Provincial Park and it's spectacular waterfalls, glacier-fed lakes, canyons and volcanic formations, impressive forest and variety of plant and wildlife species. For those interested in golfing or shopping, Clearwater township provides a variety of both. Ample accommodation is found here or you can camp in one of the many nearby sites. 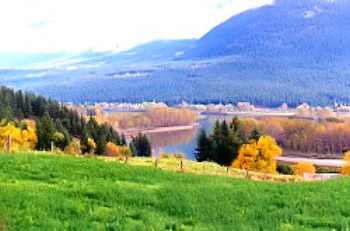 Blue River lies in the North Thompson River Valley, nestled in the Columbia Mountains. The North Thompson River flows south between the Cariboo mountains to the northwest and the Monashee mountains to the east. At an elevation of 681 meters, the community of Blue River is situated midway between Edmonton, Alberta and Vancouver, British Columbia. Access to Blue River is via BC Highway #5 - 230 kilometress north from Kamloops and 212 kilometres south from Jasper. The communities of Clearwater and Valemont lie to the immiedate south and north, respectively. Forestry and tourism are the primary industries, and Blue River is home to between 400 and 500 permanent residents. An outdoor enthusiasts paradise, Blue River is surrounded by lakes, rivers, streams and forest. Visitors come for the unsurpassed four season recreation. The area offers some of the finest powder snow anywhere, making heli-skiing and cross country skiing popular. Also popular are fishing and canoeing on local lakes, whitewater rafting, mountain biking, hiking and exploring in world famous Wells Gray Provincial Park and more. Nearby, Wells Gray Park is one of British Columbia's largest parks (over half a million hectares). The scenery is breathtaking, with spectacular lakes, two major river systems (the Clearwater and Mahood), and tumbling waterfalls, rapids, and cataracts. Located on Highway 5, north of Little Fort in BC's High Country, 320 km (193 miles) from Kamloops, Valemount is situated between the Rocky, Cariboo and Monashee Mountains. Visitors enjoy exceptional fishing, hiking and camping opportunities, canoeing, kayaking or fishing on one of the rivers in the area. Observe the Chinook salmon at the Swift Creek spawning channel or explore the George Hicks Regional or Mount Robson Provincial Parks. 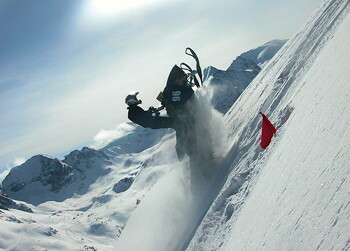 During winter months visitors may wish to take advantage of heli-skiing, snowmobiling or cross-country skiing facilities. 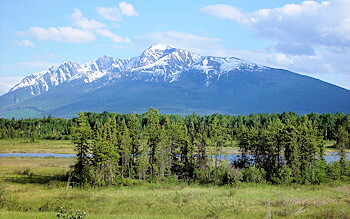 Valemount offers a variety of restaurants, accommodation, shops, services and a golf course. Check out www.visitvalemount.ca for more information. Summer activities offered in the Valemount area are: Guided fishing trips, guided hiking and wildlife searches, white water rafting, float trips, horse-back riding and heli-hiking. Consider taking in events such as Valemountain Days, Annual Winter Festival, Triathalon and Poker Run, Annual Birding Festival, Rodeo and more! 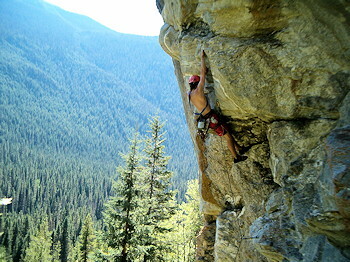 Check out www.visitvalemount.ca for upcoming events. Just past Valemount visitors may either turn west towards Prince George and Tete Jaune country or east to the Rocky Mountains and Mount Robson Provincial Park.